With the year of 2016 officially over, it’s time to exam the “best” and “worst” movies that of that year. Indeed, there was a lot of movie releases seeing in 2016. In total, I’ve personally seeing (and reviewed) over 110 new movies in 2016, some that were very recognizable, while others were “sleepers” that flew underneath the mainstream radar. There were also a lot of movies that made big money at the box office in 2016 as well as some that gained critical praise from both critics and moviegoers. I’ve already posted my list for Top Ten Worst Movies of 2016 and now I’m ready to share with my list for what were the best movies of the 2016 year. These films, whether met high expectations, creativity imaginative, or just simply really good, were my personal best choice of the movies I saw throughout the course of the 2016. Surprisingly, Disney had a terrific year in movies, grossing billions at the box office, so you can imagine some (if not most) will be on my list. What can I say… I’m a sucker for Disney. But before I begin with number 10, take a look at some honorable runner-ups that almost made it on my top ten best movies of 2016. In a cinematic age of superhero movies that sort of blend together (in style, look, and feel), Deadpool breaks that mold. 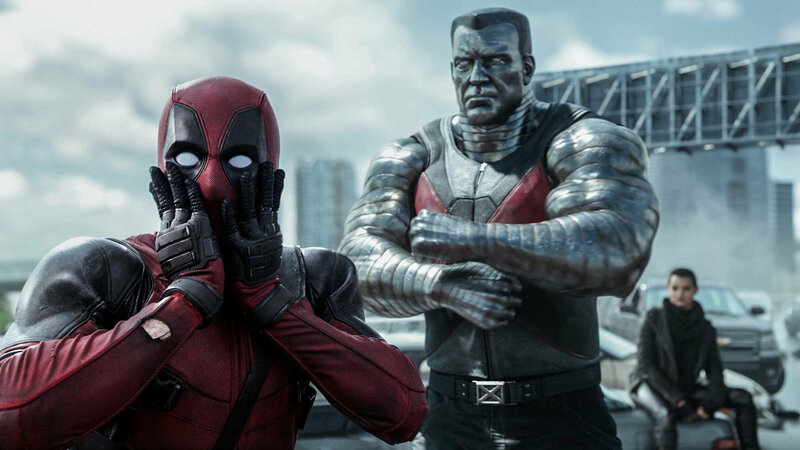 While most superhero films have been rated PG-13, Deadpool was a solid R-rated feature, retaining the character’s brutal and vulgar comic book source material. Despite some nitpicks, the Deadpool was a big success, especially thanks to actor Ryan Reynolds who played Wade Wilson, the infamous “merc with a mouth”. It was hilariously funny, amusingly different, and an unapologetic look at current superhero movies, spinning its own tale with a plethora of R-rated jokes, gags, and obscenities as well as poking fun of the superhero film genre. With Deadpool 2 coming out in 2018, I can’t wait to see the next adventure with Captain Deadpool (nah…just Deadpool). Back in 2013, Frozen was an ultra-smash hit by Disney. From colorful / catchy songs, colorful characters, and with Disney returning to its roots of its animated “identity”, many believed that the company would continue this trend in the coming years. However, after ditching that “identity” with Big Hero 6 and Zootopia, Disney finally fell back into that identity of princesses and songs with their newest animated endeavor Moana. 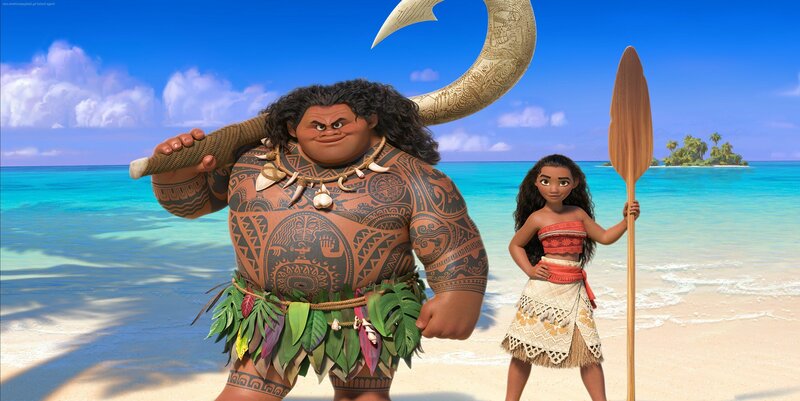 Set in the lush and tropical locale of the South Pacific, Moana tells the story of a young chieftain daughter (Moana) as she ventures across the sea, teaming up with the demi-god Maui, to save her people. While the story’s narrative might take familiar beats from Disney’s past films, the animation was stunningly gorgeous (the way the made the water look and feel was awesome), the Polynesian setting was interesting and commendable, the character designs were detailed, the voice acting was solid (both Auli’i Cravalho and Dwayne “The Rock” Johnson were fantastic), and the songs were excellent from a distinct flavor of catchy ethical flavor and classic Disney empowerment. In the end, Moana was a great way for Disney to return to embrace its own signature identity, charting a course to a future of endless possibilities in their animated features. Continuing its trend of revamping its classic animated tales into live action feature films, Disney decided their reimaging their #19 animated classic (The Jungle Book) for a new generation to see and experience. The end result is spectacular. Directed by Jon Favreau, The Jungle Book brought the beloved animated cartoon to life, following the boy Mowgli on his journey in the jungle and encountering all of the various characters. While it may be a tad darker than the original animated film, the movie’s narrative (for the most part) follows the same path as did the cartoon (expanding on certain things / events), including Baloo’s “Bare Necessities” and King Louie’s “I Wan’na Be Like You”. 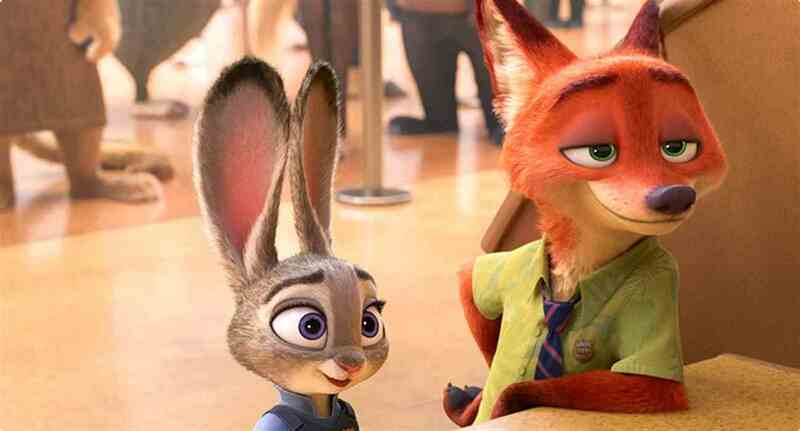 In addition, the visual effects were great, the voice talents were incredible (Idris Elba was awesome as Shere Khan), and the film was well-made as well as entertaining. With the success of The Jungle Book (near making the billion-dollar mark at the box office), many now look to Disney’s next project Beauty and the Beast (#3 on my top 15 anticipated movies of 2017). 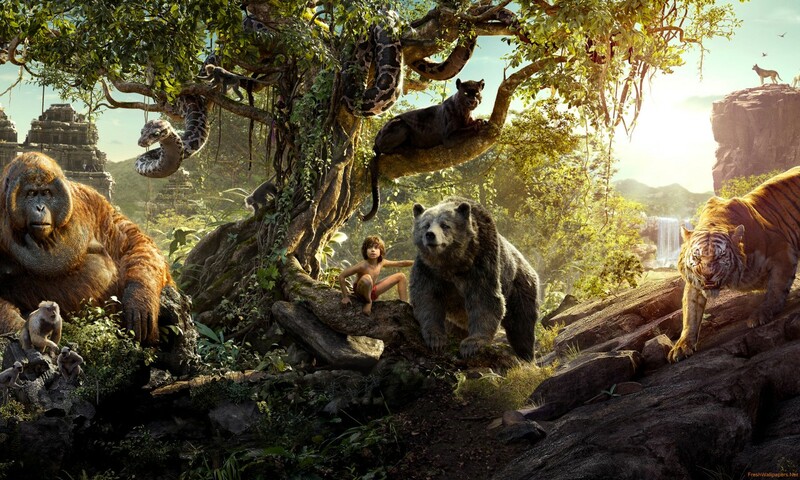 If it’s going to be anything like The Jungle Book, I’m ready to be their guest. In 2015, many moviegoers were surprised by the film Ex-Machina, a low-key, but very engaging highbrow sci-fi movie. It was indeed one of the “hidden gems” that year. This year, Arrival played a similar role in becoming a surprise hit during its release. While the story of aliens coming to Earth and mankind presenting itself in “first contact” with these beings is the primary tale, the film (directed by Denis Villeneuve) also presented with a unique side-story (found in Amy Adam’s story), which comes together in a twist ending. 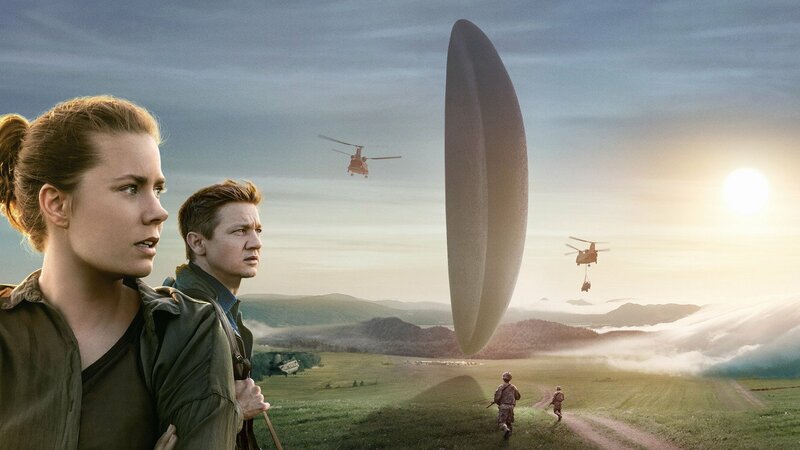 The cast was small, but really effective (Amy Adams was incredible in the movie), the visuals were great (the deception of the Hetapods were intriguing), and the narrative was sophisticated, making Arrival highly enjoyable. The film was only made for $47 million and grossed roughly $162 million at the box office, which is a pretty and satisfying number for a film that wasn’t meant to project to be a big blockbuster money maker. In the end, Arrival was highly effective and very cerebral sci-fi feature and definitely was one of the better films of Hollywood’s 2016 features. Before Harry Potter received his acceptance letter to Hogwarts, Newt Scamander got off a boat in New York City (circa 1926) with a case full of magical creatures. It would be complete understatement to say that the prequel spin-off movie to the popular Harry Potter films was highly anticipated by many, with fans and moviegoers eager to see the feature. Rest assured, the film was big hit from fans, moviegoers, and at the box office. The movie stood one in familiar terrain and one in unknown, with Fantastic Beasts returning to the cinematic world of Rowling’s Wizard World, but set in a new era, in a new place, and a new cast of colorful characters. However, while the roaring 20s of New York City was different from present day Hogwarts, the tone (the film’s overall look and feel) was pretty much the same, thanks to previous Harry Potter films director David Yates returning to the helm. 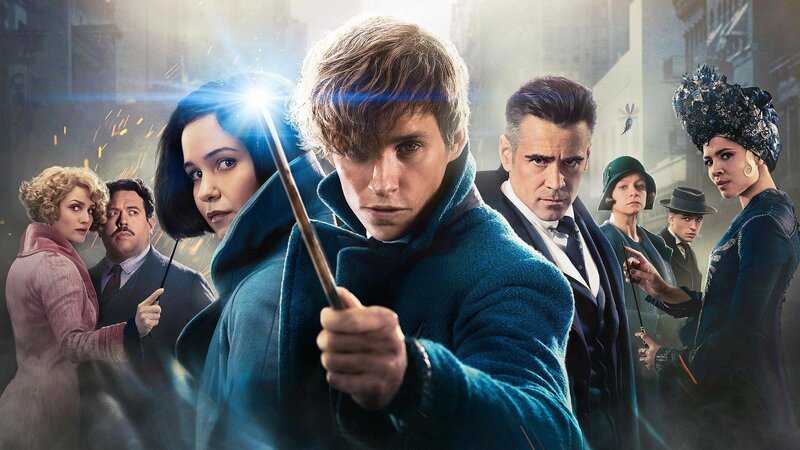 With a great visuals effects, a terrific cast, interesting character, new magical society (the MACUSA), all the new wondrous and fantastic creatures within Newt’s suitcase, Fantastic Beasts and Where to Find Them delivered returning to the Wizarding World with a brand-new tale. Can’t wait for Fantastic Beast 2! Please, Lord…. help me get one more! Directed by Mel Gibson, this remarkable untold story of Desmond. Doss, a WWII soldier who never fire a single shot in war, is emotional gripping, capturing the humanity of one’s man faith and determination, while also recounting his hellish ordeal on the battlefield in the taking of Hacksaw Ridge. Impressive directing, a great assemblage of actors, a brutal look at WWII (imagine the opening scene of Saving Private Ryan, but for the second half of the film), and enthralling narrative makes for a great feature. Beautiful, visceral, inspirational, and quite entertaining, Hacksaw Ridge delivered on telling an engaging story about an unsung WWII hero. All in all, Hacksaw Ridge is one for the history books. 2016 saw the slightly sequel to Cloverfield with the movie 10 Cloverfield Lane. While it may be different to its 2008 counterpart (not much of a direct sequel, but rather carrying its mythos), the film, following the journey of a young woman’s stay inside a fortified bunker with an unstable man, was definitely a surprise hit, keeping viewers on their toes with its unnerving dramatic tension and kept most of the film’s mysteries away from its marketing campaign (which is a good thing) and made the film that much more enjoyable. Prompted by three amazing actors (Mary Elizabeth Winstead, John Gallagher, Jr, and John Goodman) as the main principal cast, and a great director (Dan Trachtenberg), and presented sharply, the movie was relentless and was surprise hidden gem at the beginning of the year. In the end, 10 Cloverfield Lane was a truly gripping movie, proving that not all successful movies need to be big-budgeted blockbusters and that monsters come in many forms. 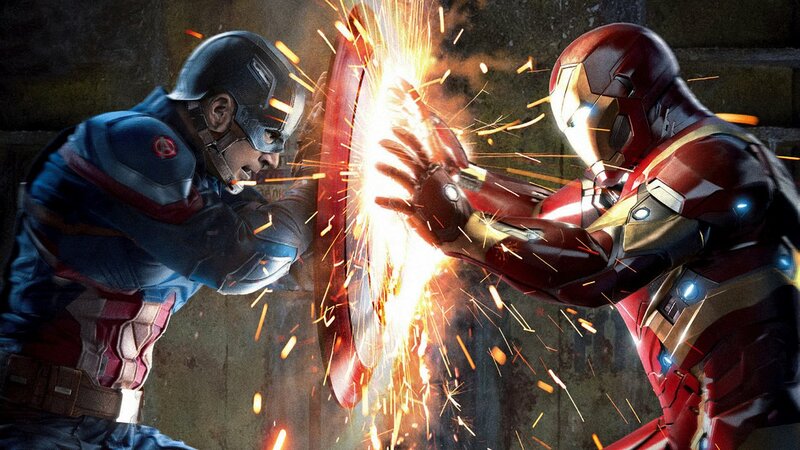 Whether you were Team Iron Man or Team Captain America, it was a battle for the ages….in the MCU. While DC fans saw Batman and Superman duke it out in 2016 with Batman v Superman: Dawn of Justice, Marvel fans got the chance to see Captain America and Iron Man fight it out in Captain America: Civil War. What can I say… this movie was awesome. It both felt like an Avengers movie (with its sprawling superhero cast) and a standalone Captain America movie. The action was great (the whole airport battle was the absolute best part of the film), the comic book drama was engaging (the end battle was indeed emotional), the new characters (Black Panther and Spider-Man) were fun and great additional to the MCU, and the film’s ultimate direction worked well to both start the Phase III saga of the MCU and the start of the 2016 summer movies. In short, Captain America: Civil War was great comic book fun and highly entertaining. Plain and simple. Save the rebellion, save the dream! Come on, guys…you knew this was going to be my #1 movie of 2016. Rogue One: A Star Wars Story was one of most anticipated movies of the year and looked upon with super high expectations. Thankfully, the movie itself, the first ever Star Wars theatrical spinoff film, was met with universal acclaim and did not fail in delivering all the action and adventure that the “Episode” movies carry. Set as a prelude tale before the events of Episode IV: A New Hope, Rogue One followed the tale of young rebel Jyn Erso and she (and a ragtag team of rebels) hatch a plan to steal the plans to the Empire’s Death Star. The movie had dual function, providing enough familiar terrain for viewers to be comfortable within the known Star Wars universe (thanks to director Gareth Edwards), but also establishing itself as its own identity as a standalone movie. All of the cast was excellent in their roles (Felicity Jones, Diego Luna, Ben Mendelsohn, Donnie Yen, and Alan Tudyk as the dark humored android K-2SO), the visual effects were impressive, and the story itself was interesting and engaging. 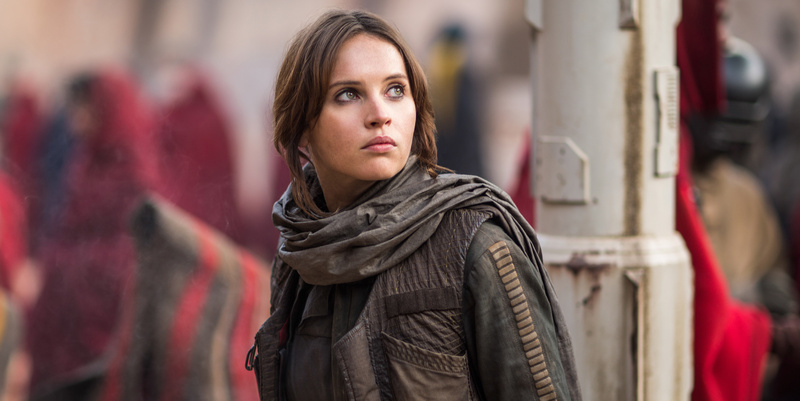 Basically, while some fans and moviegoers were miffed about The Force Awakens, Rogue One did not disappoint, paving the way for more Star Wars spinoff movies in the years to come. To me, this movie met my already high expectations and it was truly a fantastic movie to watch and be entertained by, making Rouge One: A Star Wars Story my #1 movie of 2016. And so that’s my top ten “best” movies of 2016. There were some movies that I didn’t get to see, so (naturally) I can’t critique them and pass my movie critic judgement on them, which is why they might not be on my list. So what do you guys think? What were your “best” movies of 2016? Thanks for the comment and reading my top ten list. I loved 10 Cloverfield Lane. It was sharply written and well-directed and well-acted. Agreed. John Goodman was a star in that movie and major props to director. That was his first feature length film. Fantastic list. 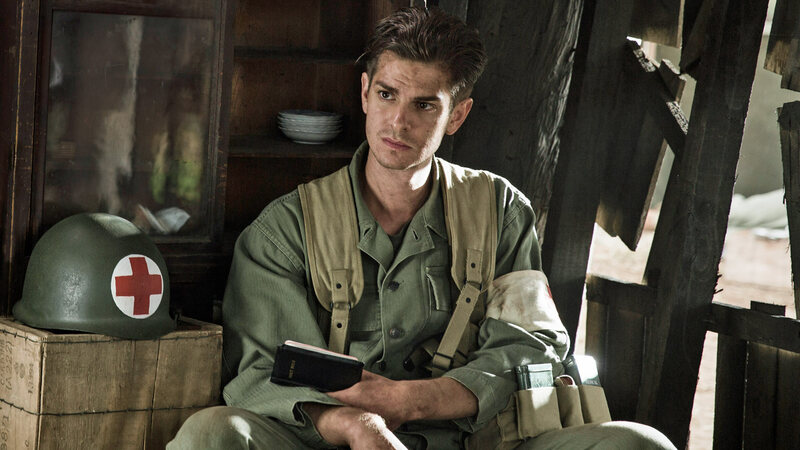 I’m looking forward to watching Hacksaw Ridge this week. Thanks for the comment. Hacksaw Ridge was a pretty great movie. Only seen a couple of these up to now, but thanks for the reminder to do a 2016 top 10. Haha…you’re welcome and thanks for the comment and reading my post! I thought Dr. Strange and Suicide Squad were two good movies of 2016 also. I don’t share your love of “Rogue One,” but I love the shout-out to “Moana.” I was so surprised at how much I liked that one. Nice Top 10 list! Well, thank you. I know that some people didn’t like Rogue One (people like what they like), but I did love Mona. Great list! A good year for blockbusters and animation!